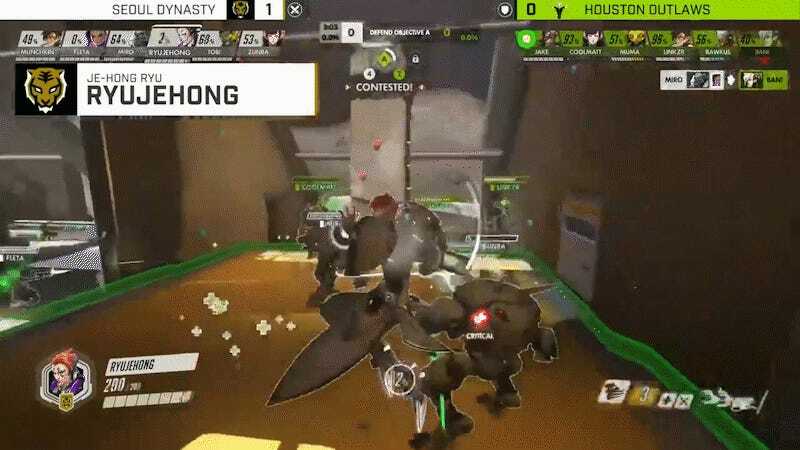 Seoul Dynasty’s Ryu Je-hong is one of the best flex and support players in the world, and he showed that much and more in last night’s Overwatch League match against the Houston Outlaws. Moira, the newest addition to Overwatch, hasn’t been making too much of a splash in the competitive scene. But on a control point on Horizon Lunar Colony, Ryu made use of her healing-harming ultimate to line up and mow down the enemy team. Though Seoul Dynasty won the match, props to Houston, a team that shown up and busted expectations so far. They aren’t toppling the Seoul Dynasty quite yet, but given time, the Outlaws could become a real dangerous underdog in the inaugural season of the Overwatch League. The last of this weekend’s matches are going on through the night, and you can catch the games over on the Overwatch League landing page.